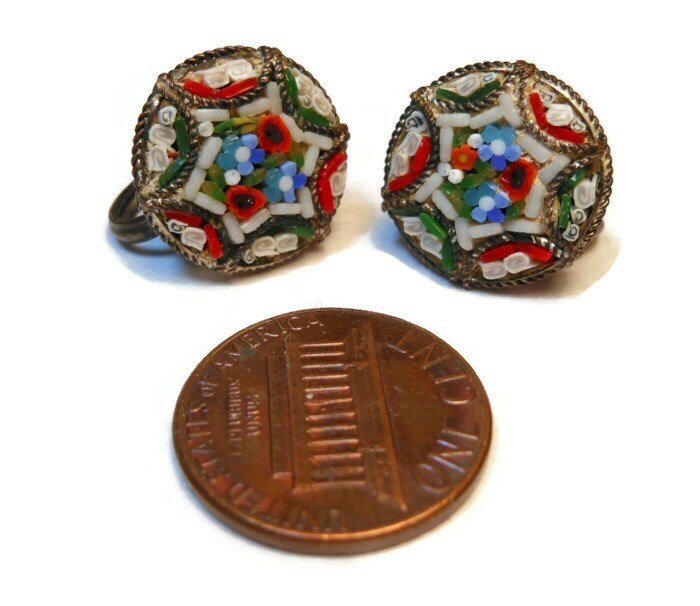 Edwardian/Victorian Fabbrica Angelo Pessar FAP earrings handset Italian Micro Mosaic. These are considered works of art and make a fantastic find for you. Not much is known of the artist but that he is from the Victorian/Edwardian Era (toward the end of the Grand Tour) and made beautiful Mosaics. I have capped these off at 1910 but they could well be earlier and truly more Victorian. These are a fine example. I believe them to be a gold wash over silver (not 925 but of a lesser quality). Wearing micro mosaic jewelry became popular during the Grand Tour period (17th - 19th Century). These items were made as souvenirs for the rich European tourists taking the Grand Tour and were either worn as they traveled on or sent home (the original post card!) 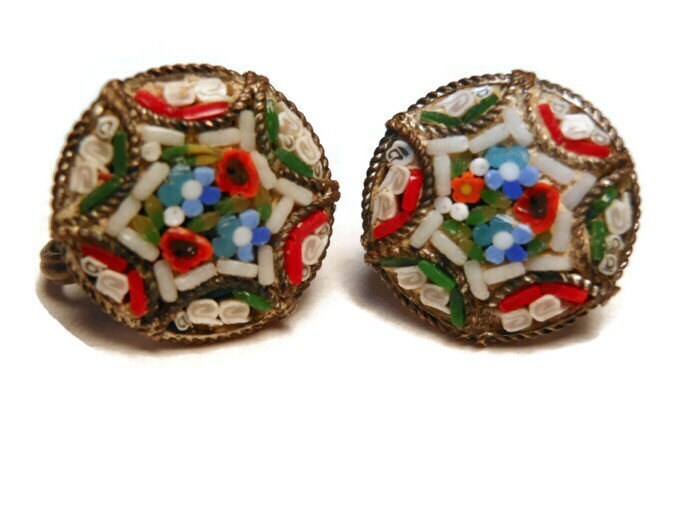 You can wear the same pair of earrings worn by one of those tourists and join in their history! 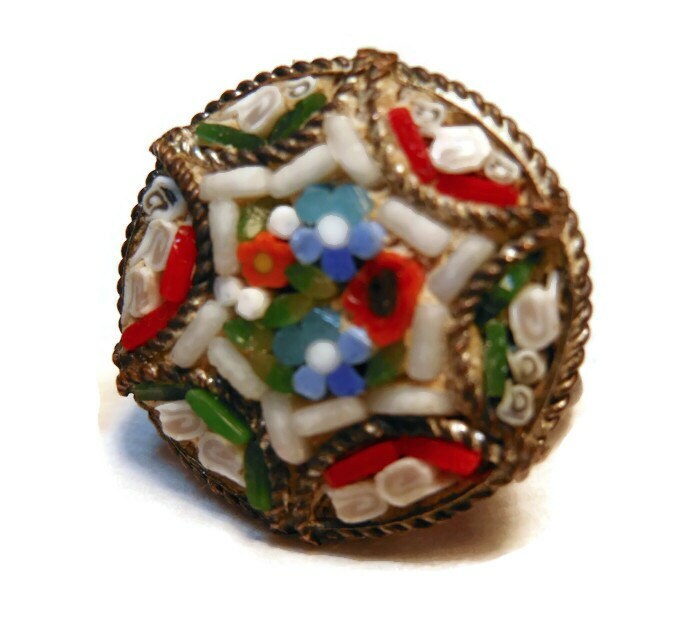 They measure 5/8" (1.6 cm) in diameter and the mosaic portion is in very good vintage condition. 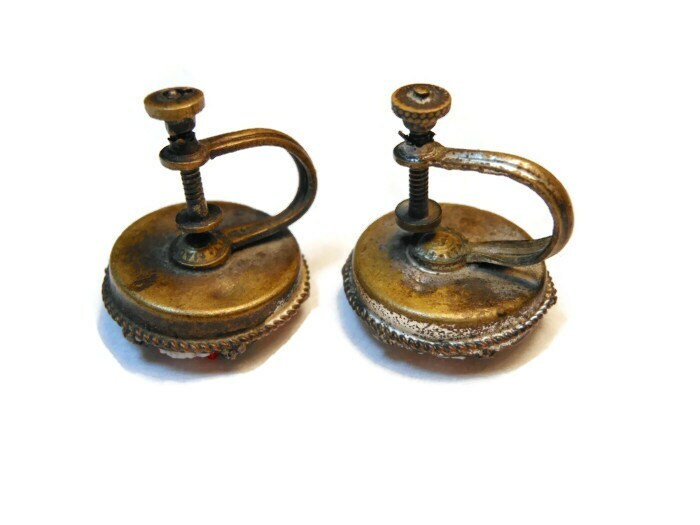 The metal portions show a fair amount of wear, as is to be expected in an antique of this age.